It's supposed to be another cold one - they said it's the coldest February on record. I believe it - it's been below freezing the whole month. Let's hope March is warmer, and we can see some of this icky snow melt so the flowers can start to bloom! For today, I've got a cute treat bag to share. Stampin' Up! announced that the Stacked with Love Designer Series Paper is the most popular paper in the Occasions Catalogue?! It's no surprise to me, it's my go-to paper... it works for so many occasions, not just Valentine's Day. Red is one of my favourite colours, I wear it almost everyday so it's no surprise that I like it! Plus, you can never go wrong with black and white. 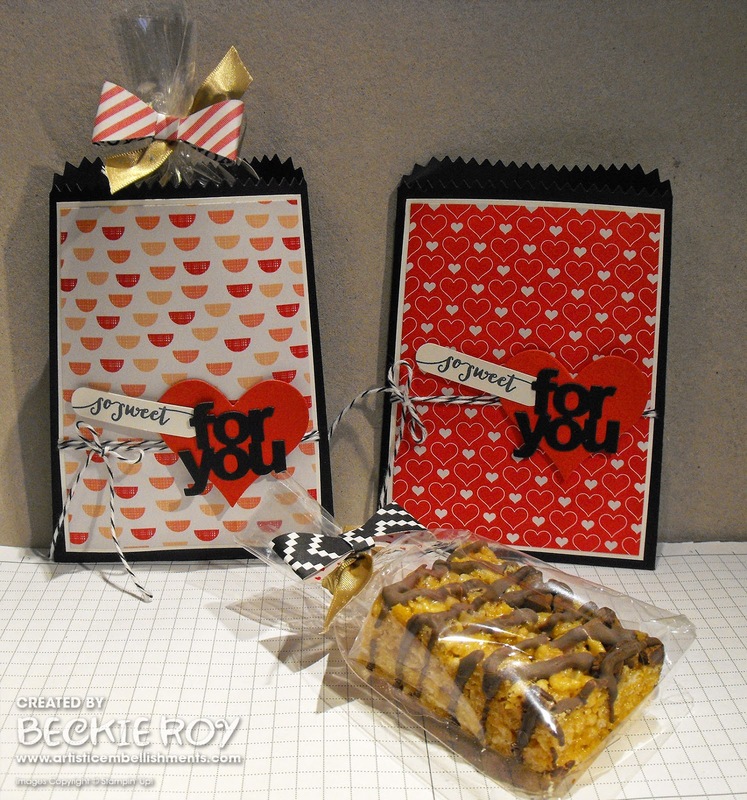 Let's check out these cute treat bags I made to house a sweet treat! I made a whole bunch of these treat bags, some using the red and coral papers and some the black with white. No matter which side you use, you can't go wrong with this fab paper stack. I wrapped my Rice Krispies Treats in a 4"X 6" Cello Bag, tied with some twine and gold satin ribbon before attaching a cute bow made with the new Bow Builder Punch. 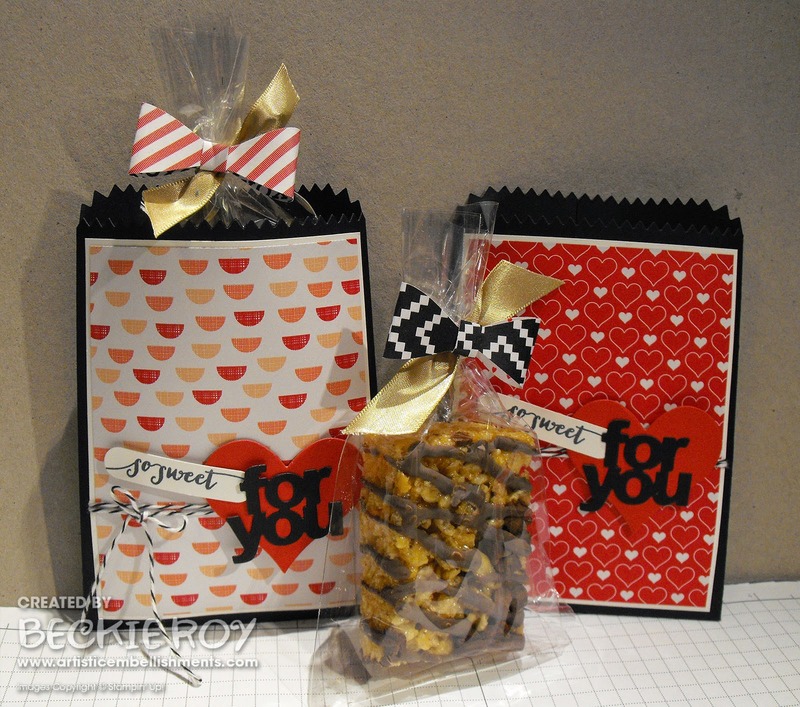 These treat bags take no time at all to create, especially with the Mini Treat Bag Thinlits Die.